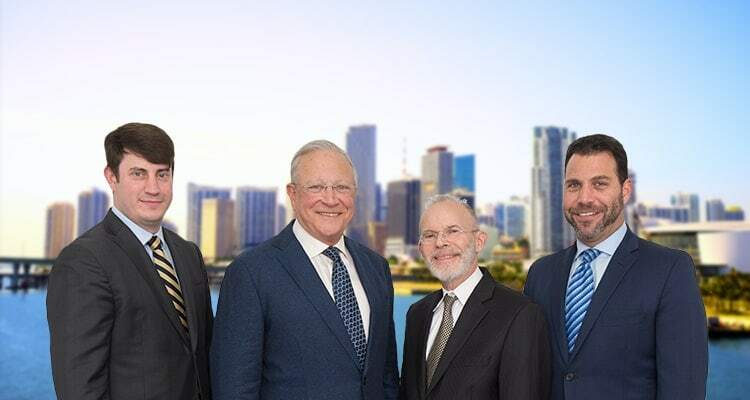 Contact Miami Car Accident Attorney Gerson & Schwartz, P.A. After being in a car accident, there are a few steps you should take. Always take stock of your physical condition and then your passengers’ conditions to determine if you need medical assistance. Next, if you can, you should get to safety. Once you are out of the way of traffic, you should call the police. With that taken care of, you can begin to exchange information with the other driver. You will want to get their name, phone number, and auto insurance carrier. There are a number of major insurers in the U.S., and the at-fault driver may have Allstate. Immediately after your accident, when it is time to file a claim, call a Miami Allstate insurance lawyer from Gerson & Schwartz P.A. One of our experienced and skilled attorneys will represent you during the claims process, protect your rights, and help you pursue the maximum compensation for your injuries and property damage. To schedule a consultation, call the car accident lawyers of Gerson & Schwartz P.A. at (877) 475-2905. Allstate was formed by Sears, Roebuck & Co. in 1931 after President and Board Chairmen General Robert E. Wood came up with the idea to sell insurance through the mail. Within the first year, Allstate had 4,217 active policies. In an exciting piece of history, Richard Roskam became the first Allstate agent by setting up a table in the Sears’ exhibition at the Chicago’s World’s Fair. In 1939, Allstate made history again by charging auto insurance rates based on age, mileage, and use of the car. In the 1950s, Allstate continued to expand rapidly. It started adding products to its lineup, including personal liability insurance, life insurance, commercial insurance, mortgage insurance, and fire insurance policies. By the end of the decade, the insurer had 5.3 million policyholders. In 1960, Allstate’s Good Driver Discount Plan was introduced, something many drivers recognize and benefit from today. By the early 1990s, Allstate was still growing and decided to become an entirely publicly owned company. The same decade, it purchased a number of smaller life insurance businesses. At that point, the company sold insurance or financial products to more than 14 million households. By 2017, Allstate was fourth place in the auto insurance market, according to the National Association of Insurance Commissioners. Despite Allstate’s growth, outreach, and positive marketing, it also faces criticism. In 2008, it was ranked as the worst of U.S. insurers by the American Association of Justice, a non-profit for plaintiff’s attorneys. A CNN investigation shortly before this report found that Allstate and other major insurers were fighting claims involving injuries more often. In more recent years, Allstate has faced lawsuits for issues such as reducing vehicle values during total loss claims, forcing claimants to undergo medical exams by the insurer’s preferred doctors, and other acts of bad faith. If you were injured in a car accident and the at-fault driver has Allstate insurance, the best thing for you to do is call a car accident lawyer at Gerson & Schwartz P.A. Despite Allstate’s neighborly marketing ads, it turns a healthy profit. This is by minimizing its losses, which includes settling car accident claims for as little as possible. When is your turn to make a claim with Allstate, whether you do so online, by calling 1-800-ALLSTATE, or with the Allstate mobile app, you should have legal representation to protect your rights during the process and to fight for you to receive fair compensation. Appealing a denial of your claim. An Allstate insurance lawyer in Miami will ensure you do not accidentally take responsibility for the accident to an adjuster. While an adjuster conducts the insurer’s investigation, a lawyer will help you cooperate while also protecting your privacy. For example, insurers will often ask you to sign a waiver, granting them access to all of your medical records. Your lawyer will make sure Allstate receives the appropriate medical records and no more. A lawyer is also helpful in spotting bad faith conduct by the insurer. If you have little-to-no experience with car accident claims, you may not notice when an insurer is not communicating with you as they should or when an insurer is delaying the investigation. A lawyer will notice and strive to rectify the situation immediately. If the insurer’s bad faith leads to a wrongly denied claim or the refusal to negotiate an appropriate settlement, then your lawyer will advise you on whether you have a valid bad faith claim against the company. Also, if your insurance claim is denied, your attorney is there to represent you in an appeal with the insurer or to represent you in a personal injury case against the at-fault driver. Once you know you must deal with Allstate after a car accident, contact Gerson & Schwartz P.A.’s Miami office at (305) 371-6000. We have over 48 years of experience helping individuals after car accidents. We understand how frustrating this situation is and how worried you may be regarding your finances. Collisions can cost you thousands of dollars unless you receive an insurance settlement. We are here to help you obtain the maximum financial recovery possible, and we are highly experienced in dealing with auto insurance companies after an accident. Will my Car Accident Case Settle?